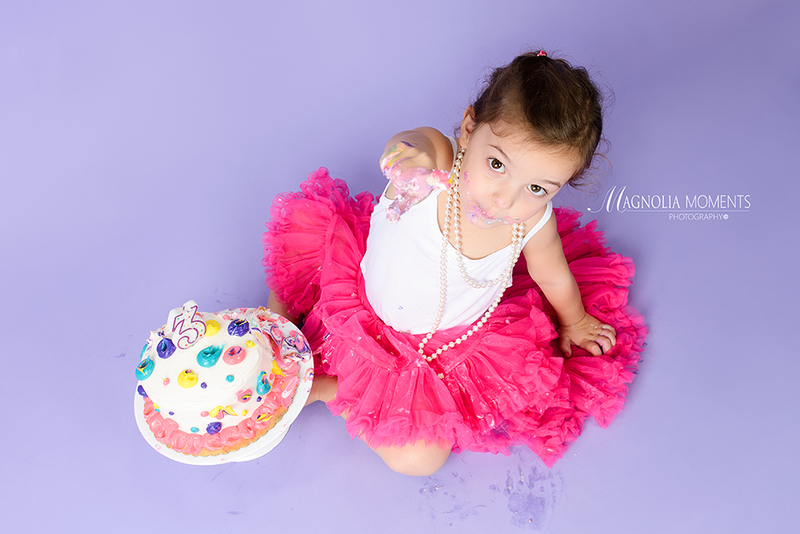 Birthday sessions are always fun, and this beautiful little girl and I had a great time when she visited me in our Collegeville, PA newborn and child photography studio for her 3-year portrait session! She is so full of personality and has the most amazing smile…and just look at those eyes. We had an absolute blast. And, what would a birthday session be without CAKE!!! Thank you R Family for choosing Magnolia Moments Photography as your Collegeville PA child photographer and letting me share in your daughter’s special day. It was such a pleasure meeting you and your beautiful birthday girl.